Do you need Car Key Replacement in MD and DC? There are occasions when a car owner needs replace a car key. When this happens it is usually an emergency situation. We at King Locksmiths have highly qualified technicians only minutes away who can take care of the situation. Working in the Maryland and Washington DC areas, we are only a phone call away. As a family oriented business we understand that the automobile is one of the most important parts of family and business life. It is needed to go from one place to another transporting people and goods. The different foreign and domestic cars on the market need a specific key for each type of vehicle. King Locksmiths is happy to provide highly qualified technicians trained for car key replacement. Why try to replace a car key online and sometimes wait days, or through an expensive dealership, when a technician can be at your location in a matter of minutes to take care of the problem? We pride ourselves on being able to provide car key replacement, foreign or domestic, using only high tech equipment especially designed for that purpose. From the moment of your first call our team will be dispatched quickly to take care of the problem. 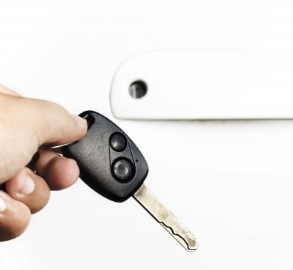 Whether you need to replace a car key for a foreign or domestic model, we can provide the best service available. We have a reputation for being prompt and providing complete customer satisfaction. Modern vehicles use such things as basic keys, transponder keys, laser cut keys, chipped keys, switchblade keys and smart keys. Each of these has different characteristics of which our highly trained locksmiths are fully aware. It has been our policy to keep our personnel on top of the latest key technology and changes for all car key replacements. In today’s world it is easy to become distracted and lose your car key. Having access to fast service from one of our mobile units to replace it can shorten the time it takes to get your vehicle in motion again. We pride ourselves on understanding our customers concerns and respond accordingly. 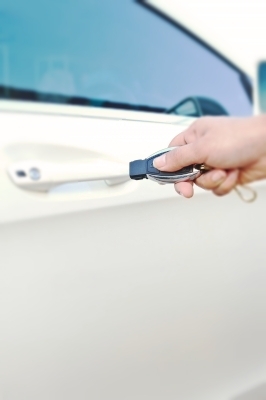 By using King Locksmiths for any foreign or domestic car key replacement you will find a team that will provide you with fast service and professional locksmiths. In addition to being fully insured and bonded, all of our work is fully guaranteed. Our aim is to get you on the road again as quickly as possible. We are proud of our many satisfied customers and proud to service the Washington DC and Maryland areas. Our aim is full customer satisfaction on all car key replacement work. You can reach us at one of the numbers listed below where one of our dispatch associates will help you 24/7. MD-DC Foreign and Domestic Car Key Replacement https://kinglocksmiths.com/car-key-replacement/ 4.0/5 based upon 32 reviews.